My collection of phones changes on an almost daily basis. 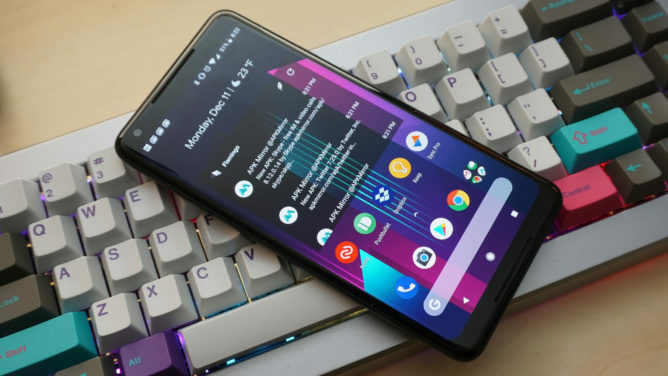 Sometimes I have to use a particular device because I'm reviewing it, but there are certain phones that I keep coming back to when I'm not in the middle of a review. This is my real phone. If a regular person asks me what phone I use, I tell them it's the Pixel 2 XL. I know the screen is a deal breaker for some, and it's obviously not the best OLED panel around. Still, this phone is the best in so many other ways. It's fast, has the best camera, and I love the feel of it in the hand. Squeeze for Assistant is great, too. It's a stylish-looking phone, which is a nice change from the chunky 2016 Pixel XL. 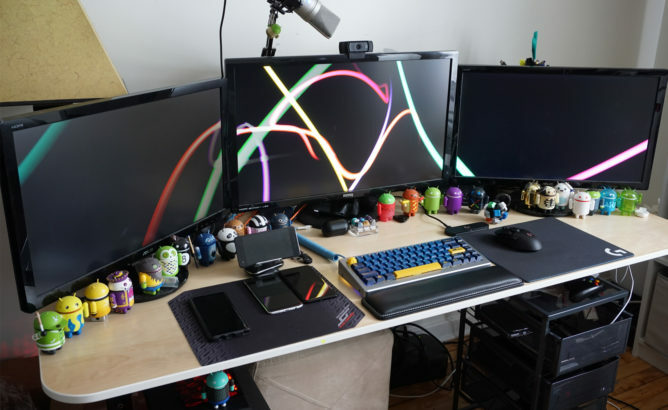 I'm totally sold on 18:9 screens as well. I really think Samsung nailed it with the Note 8. Even though it has similar hardware to the GS8, the performance seems much better. The display is gorgeous, and the camera is among the best. The S Pen is a nice bonus, as well. Even in this age of capacitive screens, using a stylus is just nice sometimes. Samsung Pay has also become a big selling point for me. It works so much better than I thought it would when Samsung first announced it, and all my cards are now supported. I don't use this phone as much as the Pixel, but I like it. I rarely use tablets day to day anymore, but I do occasionally pick up the Samsung Galaxy Tab S3. The form factor is good, and the S Pen makes it very comfortable to use for working and taking notes on the go. I use it mostly while traveling these days. I even wrote most of the Essential Phone review on it while flying home from IFA earlier this year. I'm bummed that Android tablets are not working out. 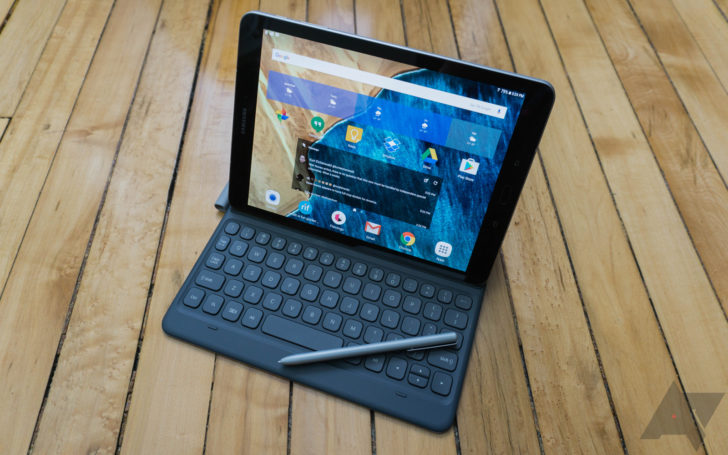 I hope the next time I write one of these, I'll be able to talk about a Chrome OS tablet with fully integrated Android apps and a good keyboard dock. That's kind of my dream device. I have not hidden my feelings about Android Wear lately. 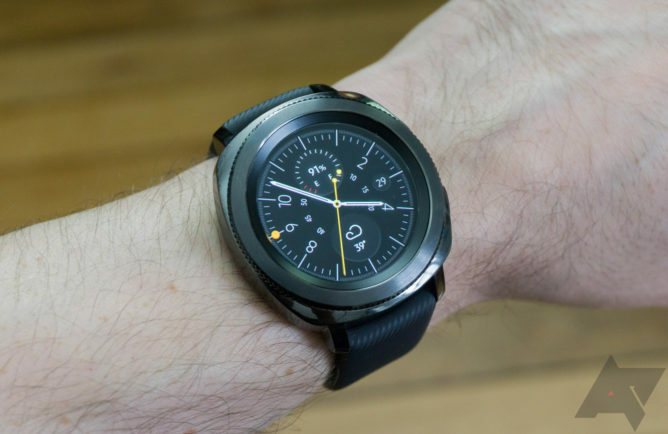 To recap: I think Wear 2.0 is bad. Google screwed up the notifications to the point that I don't like using it. You know what I do like, though? Samsung's watches. I know, I'm as surprised as you. The Gear Sport is my favorite watch right now. It gets excellent battery life, and the form factor is perfect for my bony wrists. The way Tizen handles notifications from my phone is vastly superior to Android Wear, and I love the rotating bezel. The exercise tracking is also borderline magical. While I don't love Wear, I think the Huawei Watch 2 Classic is the best piece of hardware running it. When I need to use a Wear device for testing, I grab this one. The size and fit are excellent, and it looks like a regular watch. Since the last time I wrote a What We Use post, I've picked up a long overdue camera replacement. 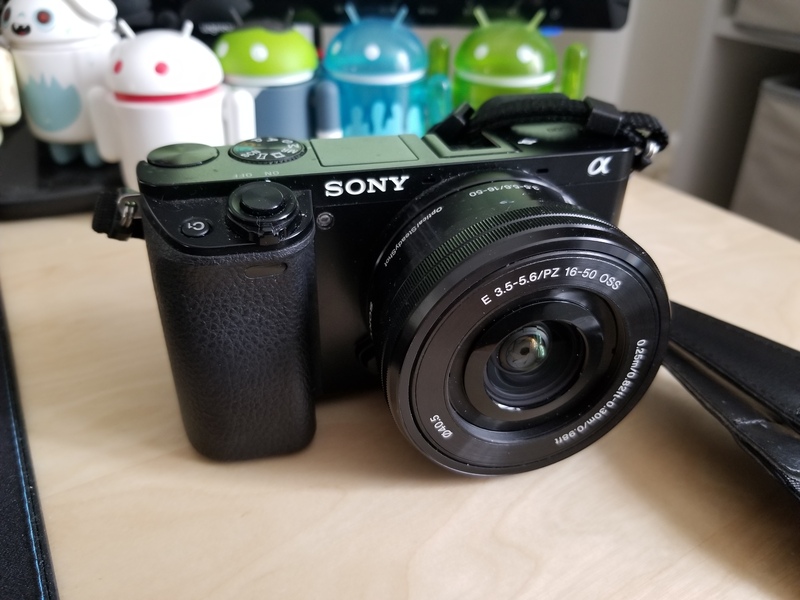 I sold my old D3100 and picked up the Sony a6000. Almost every photo I take for AP comes from this camera. It's a mirrorless camera, so it's more compact than my DSLR was, and it takes better photos. Sony also has a great software interface on its cameras. I'm by no means the best photographer, but I'm happy with the results I get from this camera. One of my favorite things about this device is that it has built-in WiFi for photo transfers. I can just press a button, and all the new photos sync to my PC in a few minutes. It takes a little long to fire up the transfer, but it's much less annoying than using a cable or card reader. On March 21, 2017, Google released the first developer preview of Android O. This is always a big deal on AP, so there's a lot of work to do. Why am I telling you this? Because March 21, 2017 is also the day my computer stopped working. Yeah, that was a great day. I eventually tracked the problem to the motherboard and power supply, both of which were dead. I had to spend a few days working on my laptop as I did troubleshooting. Eventually, I decided just to build a new computer since many of the core components of my old system were either damaged or at least questionable. I tend not to be too concerned about cable management (sorry), but I've been pleased with this build. I can run games at native resolution with most settings maxed, and it can handle a zillion Chrome tabs. 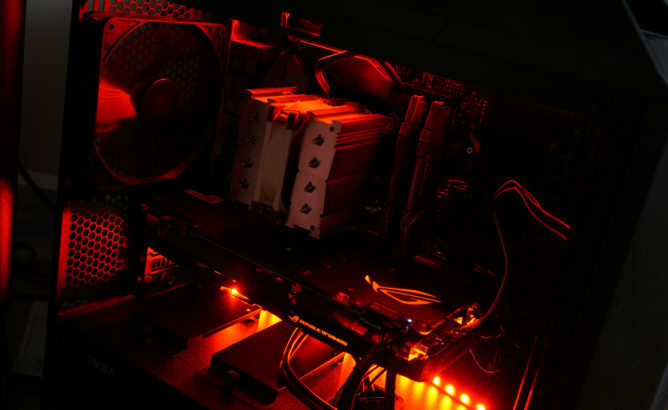 The case is quiet and efficient, even though it's a little large for a microATX form factor. I realized I just don't need a full ATX board anymore. I can't remember the last time I plugged in an expansion card that wasn't a GPU. I ended up getting the tempered glass side panel for my case, because apparently that exists. It looks much nicer than the plastic side panel, though. I've been using a Logitech G903 mouse lately with the new Powerplay charging system. This mouse is basically a slightly improved version of the G900 I used previously. It's not the most attractive mouse, but the performance is fantastic, and it's really light. With Powerplay, the mouse charges wirelessly via the mouse pad. I've never even plugged this thing in. I do almost all of my work at home on my desktop PC, but there are times I need to have a laptop. Since this is an occasional machine for me, I didn't want to spend a ton when the time came recently to upgrade. 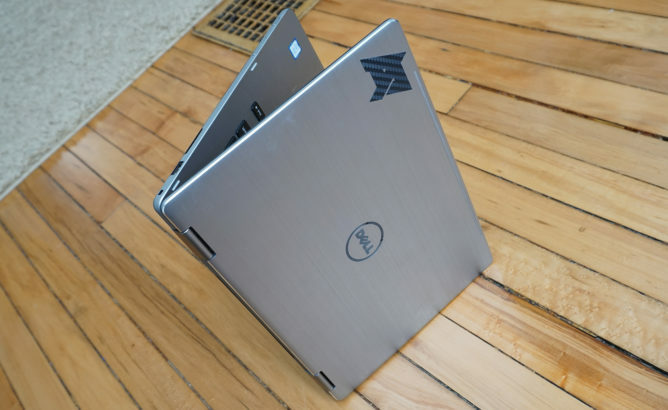 I went with the 2017 Dell Inspiron for several reasons. For one, it actually has user-accessible RAM slots that are not soldered to the board. That allowed me to get 16GB of RAM on the cheap. Another selling point, this is a convertible laptop. I usually bring a real keyboard with me when I'm traveling, so I flip the laptop upside down and fold the keyboard back. Using it in "tent" mode lets me plug in a keyboard and use it more comfortably. I have no complaints about this laptop, but I don't really ask a lot from it. I'm very public with my keyboard obsession. My Twitter account is just as likely to bring you keyboard pictures and rants as it is posts about Android. The last time I did a "what we use" article, I was only beginning to get into weird custom boards. Now, I'm deep down the rabbit hole. With the exception of one, I've built all my main boards. Here's my current stable. The M65-A is one of my "workhorse" keyboards, which I use to do a large chunk of my writing. This kit caught my eye because of the amazing aluminum construction and 65% form factor (my favorite). It has a brass switch plate with 67g Zealios, which are a medium-heavy tactile switch. This board is an absolute tank that weighs almost 4 pounds. There's even an extra brass weight on the bottom that keeps it from sliding around. 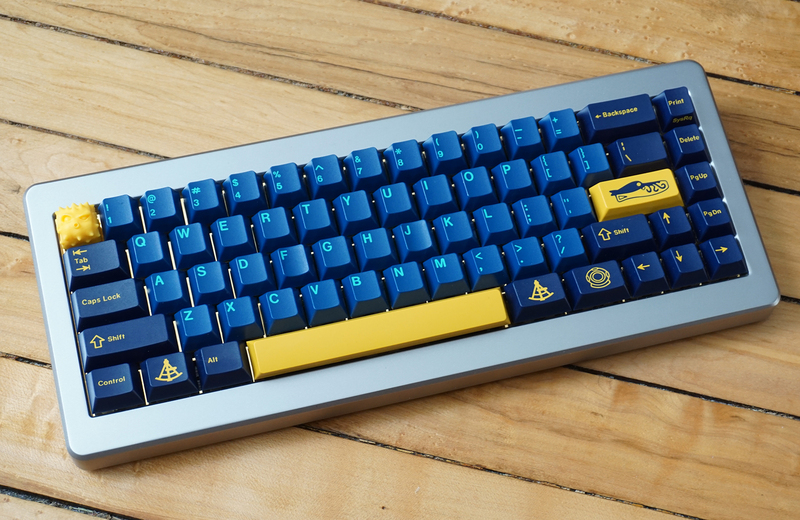 In the image above, it has GMK Nautilus keycaps. 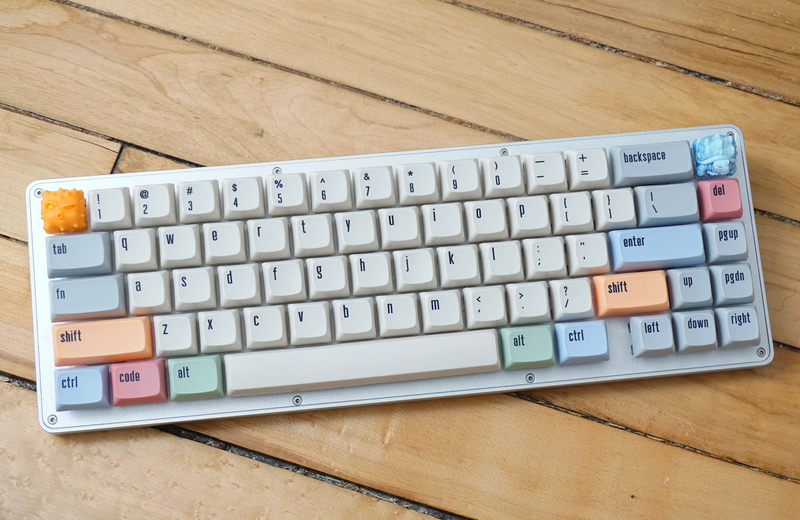 My first major keyboard project, the WhiteFox is still one of the best keyboards I own. The frame is aluminum, but it's not an intentionally heavy chunk of metal. Thus, it's one of my favorite travel boards. The WhiteFox is another 65% design, which is my preferred form factor. I like that this one has a small gap between the bottom row mods and arrow keys, which helps me find the arrows by touch. This board has 78g Zealios that I opened up and lubed for a smoother, softer typing experience. That pairs well with the current XDA Canvas Keycaps. 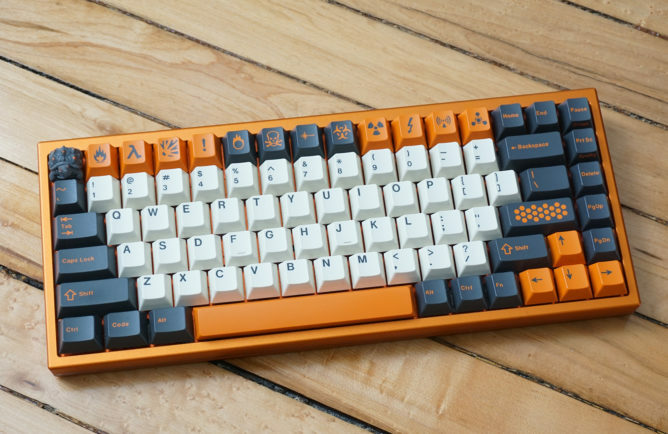 This keyboard was planned from the start as a home for one of my favorite keysets, known GMK Carbon. I wanted an orange aluminum case, but the "orange" anodizing from the manufacturer was pretty disappointing. So, I hunted down a local metal finisher that was willing to strip and re-anodize the case the proper orange. The KBD75 is a 75% keyboard, which is basically a 65% with the addition of an F-key row. I used Gateron brown switches in this keyboard, which are lighter than most of my current arsenal. It's mostly a gaming board (I find lighter switches more pleasant when playing games), but I also type on it a fair amount when I'm in the mood for something a bit lighter. The Minivan is a delightfully strange keyboard. This is what's known as a 40% keyboard. That means it has no number row, no f-keys, and no arrows. Instead, it uses several function layers to make all the usual commands available. It takes some getting used to, but you can be extremely efficient on a Minivan. Every function is at most two keys away from where your fingers are. 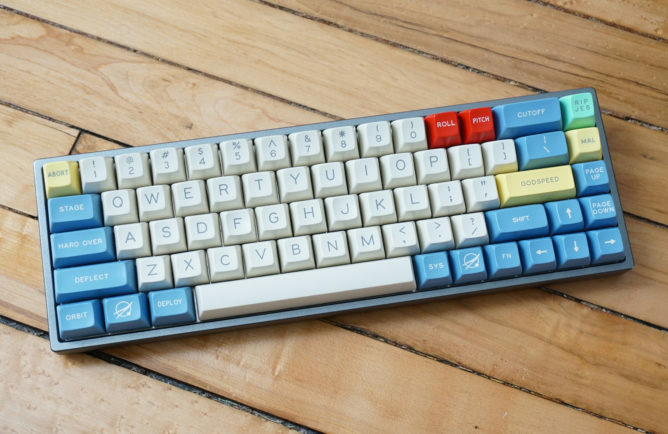 This board uses 65g Zealios and has the GMK 80s Kid keyset on it, which was designed specifically for the Minivan's unusual layout. When I want a keyboard that clacks, I go for my Redscarf. This keyboard has an unusual 75% layout with a bank of F-keys on the left of a 65% keyboard. I built this one with a newer switch known as the Kailh Box Pale Blue. The switches themselves are IP58 water and dust resistant, but that was secondary. I used them because I wanted to try Kailh's new click bar switch design. These are heavy clicky switches, but the click bar is very different than the click mechanisms in switches like the Cherry Blue and Green. 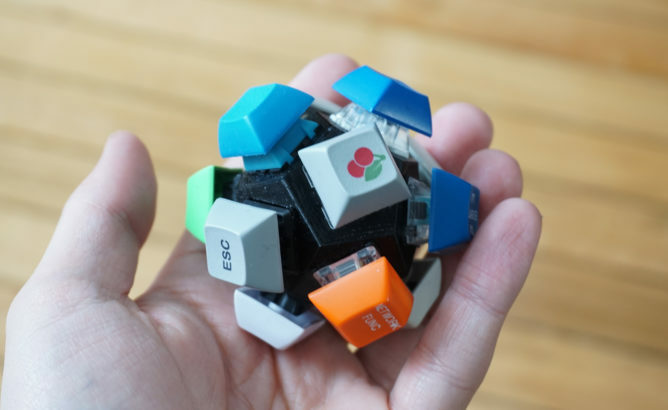 Kailh isn't just cloning Cherry switches anymore, which I find very interesting. The click bar and heavy spring make these switches super-crisp and super-loud. 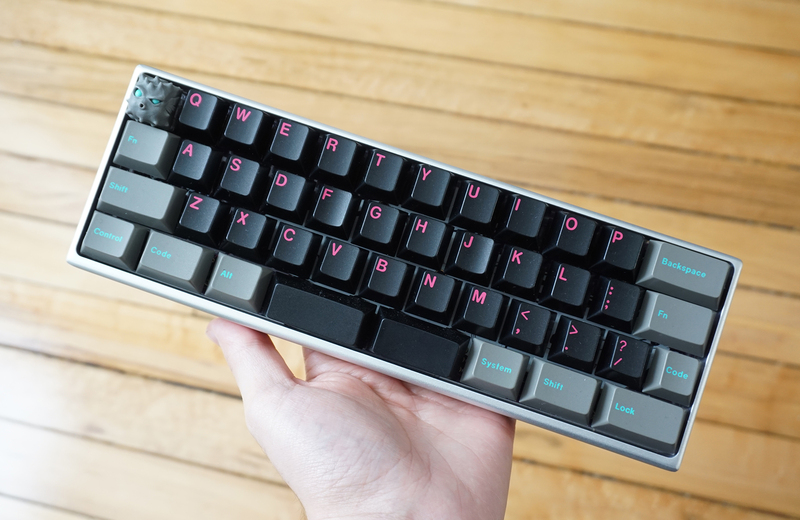 The current keyset is DSA Overcast. This keyboard is my homage to Tron. 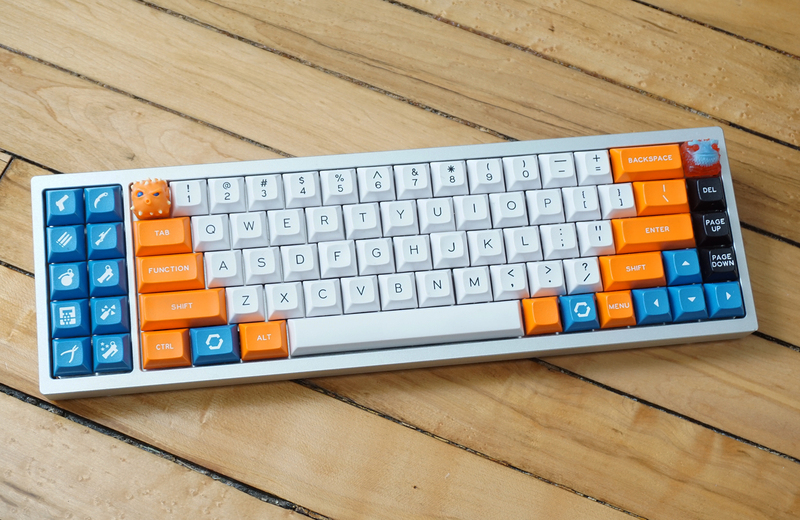 The keycaps are obviously Tron-themed (DSA Lightcycle), but I also salvaged a batch of old Orange Alps switches from the 1980s for this project (because Tron is also from the 80s). These switches have a different stem design than all current Cherry-style switches. 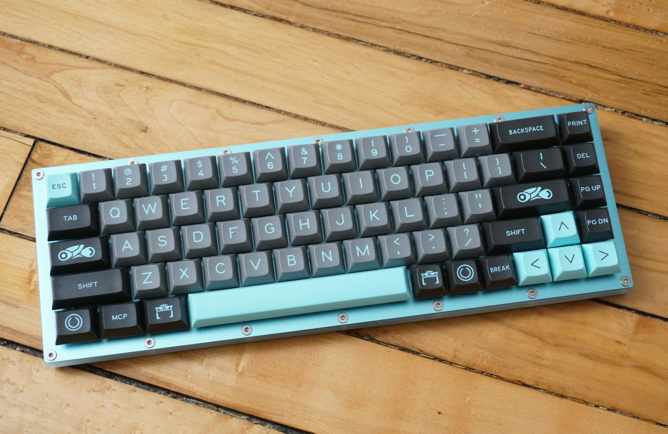 That means most keycap sets won't work, but Lightcycle was available with Alps stems. I was a little disappointed with the build quality of this case, but I was able to get things pieced together well enough. 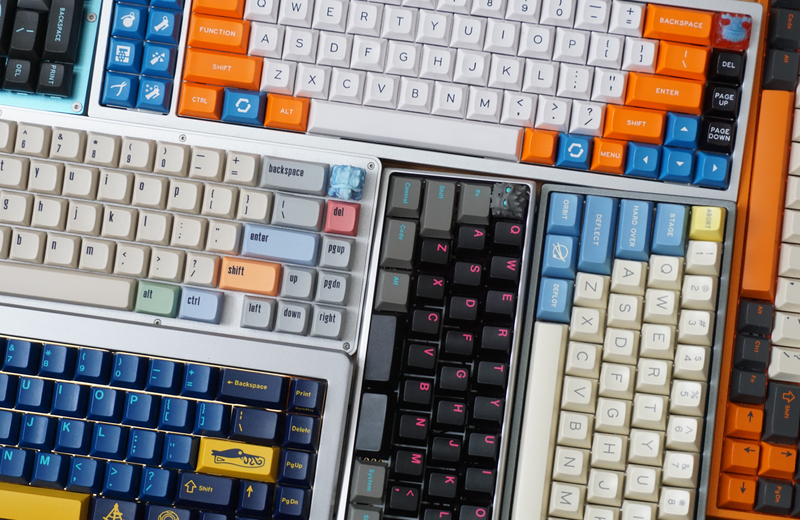 The Saber 68 (AKA the TADA68) is the only keyboard on this list I didn't build myself. It was only available with MOD-M switches as a finished board, and I was quite interested to try those switches. They're medium-weight and very, very tactile. I ended up swapping the stock plastic case for an aluminum one, which makes it feel much nicer. The keyset on this one is one of my favorites, called Godspeed SA. I'm trying to be more serious about backing up my data, and keeping local copies in addition to what's stored online. A big part of that strategy is the Synology DS418play NAS box. I have a trio of 10TB drives inside with single-drive redundancy. That gives me around 17.5TB of usable space. I have scheduled backups on the NAS, and all my important Dropbox files sync down as I add things. It's really useful. My NVIDIA Shield Android TV goes hand-in-hand with the NAS. This device has only gotten more useful over time. NVIDIA added support for an always-on Plex server a while back, so I mounted the NAS as a network drive on the Shield, then pointed my Plex server at it. The Shield is much better at transcoding than the Synology Plex client, making it a great way to stream my media. It's also a SmartThings hub and a way to access Google Assistant. The Shield is really the only Android TV device worth buying right now. The apps I use on a regular basis are all pretty well-known, so I won't go into a ton of detail. I use LastPass for password management and Authy for 2FA. These are both essential to my daily activities. I also use Pushbullet regularly. It's how I send files and text between devices, and I have notifications synced to my computer. I'm a little concerned there hasn't been much development happening on Pushbullet lately, though. I reluctantly use the Slack app as most of my gigs have Slack chatrooms. The app works okay, but logging into it on a new device is immensely frustrating. Google Keep is also important as I use it to track all my work-related to-dos. I won't get into games too much because what I play is always changing—at the moment it's Cuphead, Wolfenstein II, and Kerbal Space Program. I finished a third play-through of The Witcher 3 earlier this year, and that'll probably be my last one for a while. Sometimes I just don't know what to do with my hands, which is a problem I gather a lot of people have as evidenced by the proliferation of fidget spinners in the last year. I keep a neat little fidget toy on my desk from NovelKeys. It's a dodecahedral (12-sided) mechanical keyboard switch tester. Each side has a different switch. These things are super-fun, and they're not too expensive. I'm getting increasingly into smart home tech, thanks in part to Google Assistant. I have two Google Homes, a Home Mini, and a Home Max (review coming soon) scattered around the house. I use Arlo Pro cameras outside and Nest Cameras inside. The Arlo cameras are a little slow, but they run entirely on battery power. When Nest releases its next wave of outdoor cameras, I might consider installing them as I like the Assistant integration Nest offers. I also love the Nest Thermostat E. It's one of the few pieces of smart home tech my wife doesn't roll her eyes at—it's genuinely useful. I also have Phillips Hue bulbs in most areas of the house. So, that's all the stuff I use. Of course, there's more junk around here. My job basically involves a revolving door of gadgets and gizmos, but I've covered most of what I consider essential. If you want more keyboard pictures, you can just follow me on Twitter or Instagram.